When I was a young boy I received a bicycle for Christmas, it was blue. I rode that bike all over the place. I loved that bike. There is something freeing about those moments as a young kid riding a bike around town and facing new adventures with that new found freedom. That freedom took me to the scene of my accident…that sounds more dramatic than it really was. I fell off of my bike and in the process I gashed my knee open. The “accident” wasn’t very traumatic or memorable with the exception that there was a lot of blood localized around a cut on my knee. Upon further review I probably should have had stitches but it was bandaged and wrapped and slowly it healed. In the healing process it itched, occasionally it burned, but over time it formed into a white lined scar right across my right kneecap. It is still there to this day, though smaller just as that young boy was so long ago. Some scars are there to remind us of how foolish or negligent we’ve been in our lives while others were inflicted on us by an outside source. Regardless of how they were formed they have become part of our identities now. Some scars though, have not marked us on our bodies but rather our hearts and our minds through hurtful experiences inflicted by others around us. These scars too are long lasting, some we carry with us to this very day and they mark us and are a part of our current identity. What kinds of scars do you have? I would be willing to guess most of us carry with us both types of scars. We have known the pain of physical afflictions and accidents which have left their marks on us, and we have also known the psychological and harming pain of scars of words slung our way and even the pain of losing a family member to death. These scars cut us deep and leave their impression on us…sometimes for life. 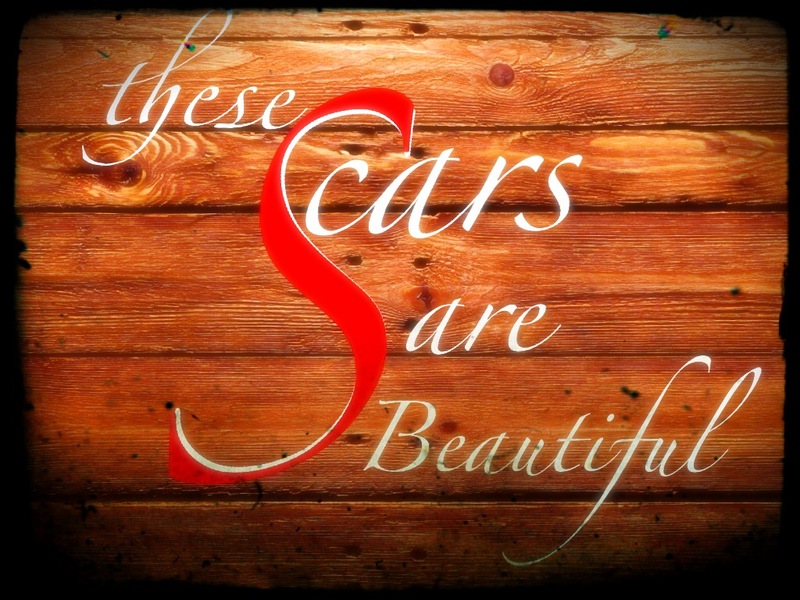 Can you recognize the beauty in your scars? We have lived. We have not come through this life (thus far) unscathed. We have experiences to share with others. Wisdom to convey. We have knowledge that we wouldn’t have possessed before earning (or falling victim to) these scars. Could I ever relate to a parent in mourning at the loss of their child? No absolutely not. I can empathize. I can weep with them, but I cannot completely understand the heart-wrenching pain involved in that scar. Although I cannot relate, other parents who have lost children along the way can share their wisdom and understanding during such a time of heart-wrecked agony. These scars carry with them beauty. Not because life is lost but because hope can be conveyed. I don’t wish to imply any of these scars are lovely when inflicted on us. They burn. They hurt…sometimes severely. Sometimes they maim and disfigure us either physically or emotionally…but there is beauty on the other side of our healing. There is knowledge and understanding…there is opportunity to relate with others and to help in their healing. 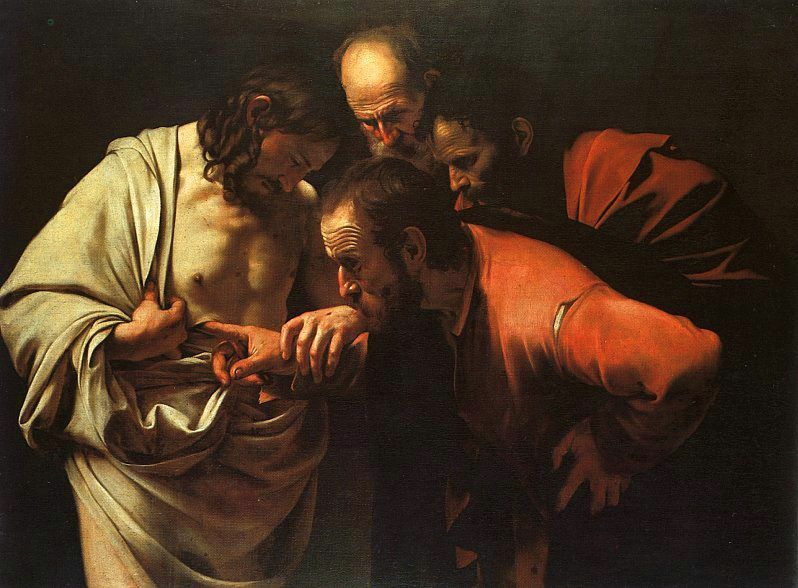 Jesus held out His hands towards Thomas. We call him “doubting Thomas”…I think we all can relate to him. Jesus had died. He had suffered horribly. His agony had been witnessed, and there was no way to come back from that. How could the other disciples say Jesus was now alive again? How could they make Thomas’ soon to be scar in his heart hurt any more? It was like salt on a fresh wound. And so He doubted their accounts of a risen teacher. He vehemently drew the line and was unwilling to cross it until (as if it would ever happen) He physically touched Jesus’ wounded body. So the scars came to Thomas. The wounded hands and feet of Jesus suddenly appeared to the disciples in a hide out along with the rest of their Savior. He stood before them and Thomas had to place his hands into those nail scared hands and a spear pierced side…then He believed. I don’t mean to say that in a masochistic sort of way or idle fascination in pain and maiming, I mean that in relational love and experience. 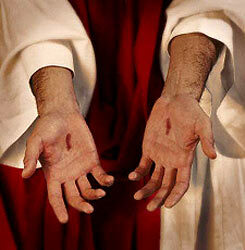 Thomas placed his inexperienced hands in the nail scarred hands of the Savior and was forever changed. Jesus knew what it was like to suffer. Jesus knew what it was like to carry these scars with Him…and His beauty marked the hearts and left a sacred scar on His disciples. What was meant to be evil and damaging in totality had become beautiful and life-giving. What was meant to destroy and cruelly maim had become healing and salvation to all the world. These scars are beautiful! Do you have scars like these that you can share with the world around you? These are the scars of experience and understanding. These are the sacred scars of healing and restoration. These scars say “I understand and I can relate to what you are going through!” God doesn’t bring these scars upon us, but He can bring something marvelous out of our trials and experiences. The damaging things that this life and even Satan himself can throw at us God can turn into victories. The scars of a recovering alcoholic who has beaten the odds and stayed sober can lead other alcoholics to find Hope. The scars of an abused woman who has turned her life around and escaped that wounding lifestyle of physical abuse can bring hope to another woman who is still stuck and imprisoned in that life of hell. Do you have a story to share with one who needs to hear it? There is victory in the scars. There is hope in the nail scarred hands of a Savior who understands. Previous Post Previous post:Is Salvation important…to the Church?